Indulge in the stillness of nature away from the busy city life and feel the Namibian sun on your skin. West Nest Lodge has plenty to offer every visitor who likes to be in touch with nature and experience spectacular sunsets, game and bird viewing, walking trails and the peace and tranquility only nature can give. West Nest Lodge offers a large array of leisure activities and accommodation to make your stay unforgettable. Make your special day just that much more memorable by adding a little something extra from our wedding package. From team building activities to conference facilities, we offer everything you require for your next company workshop. "Dit was heerlik, baie dankie. Hoop ander toeriste besoek West Nest Lodge. Don’t miss out!!!" We had a great time and hope to visit again." "Excellent accommodation. Super food & wine." "Super Lodge. We enjoyed our stay very much." lang tyd gekry het. Ongelooflike plek." 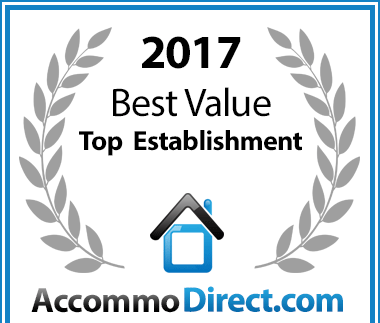 For accommodation in Gobabis West Nest Lodge has been voted a Best Value establishment. Form received. Thank you. We will respond to your message as soon as possible.